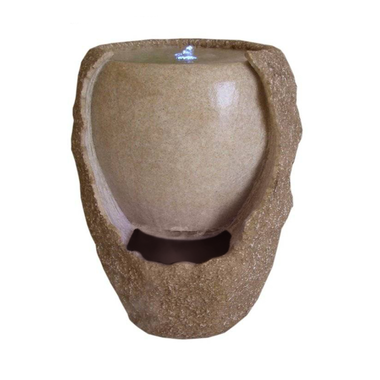 Velda Gavarnie Jar in Rock Water Feature, the perfect addition to the garden, where space might not allow for a pond. 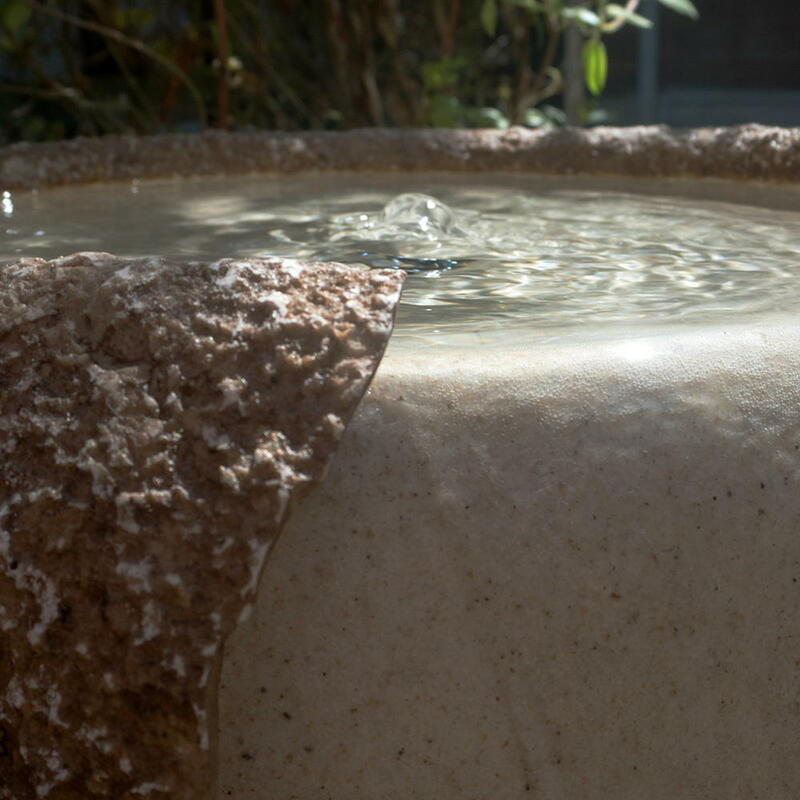 The Gavarnie Jar feature is a modern yet stylish self contained water feature, ideal to place around the garden if there is limited space for a larger water features like a pond with fountain. 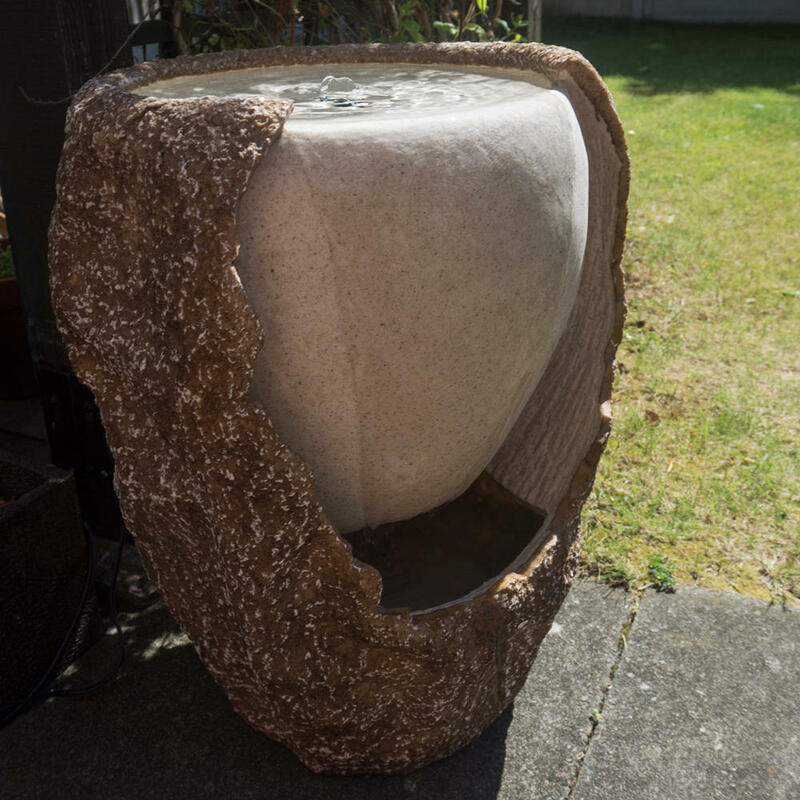 The resin made feature can sit in any location around your garden and still provide the same enjoyment and soothing ambience that a pond provides. Made to look like a Jar half encased in stone, the Gavarnie is an impressive yet simple feature. A small water reservoir sits at the bottom of the feature, the water is gently pumped up the centre and to the top located water outlet. 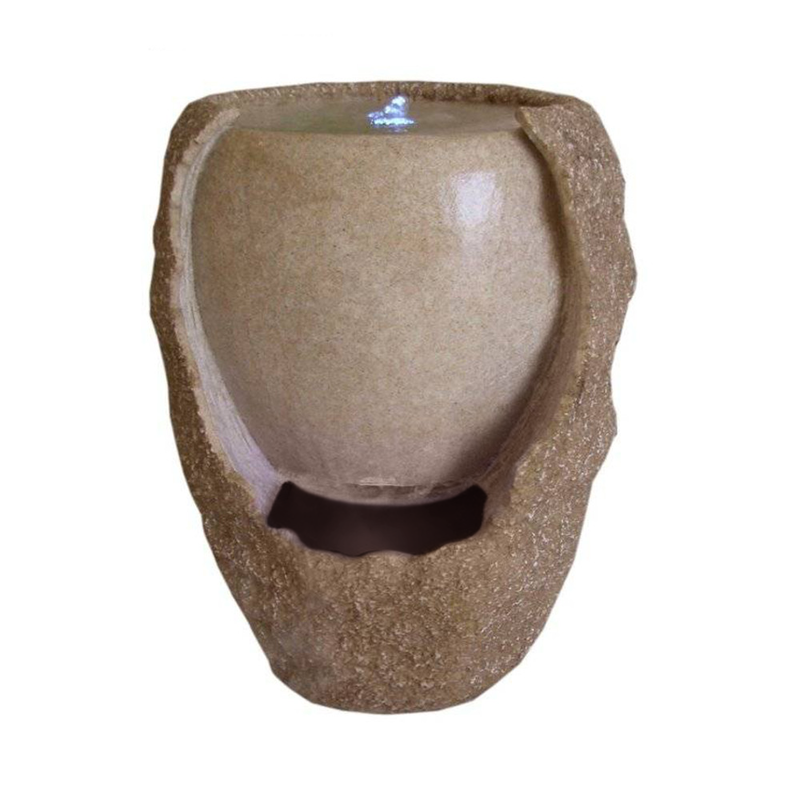 It then cascades gracefully down the side of the jar and returns to the reservoir below, creating a soft waterfall sound as it returns. 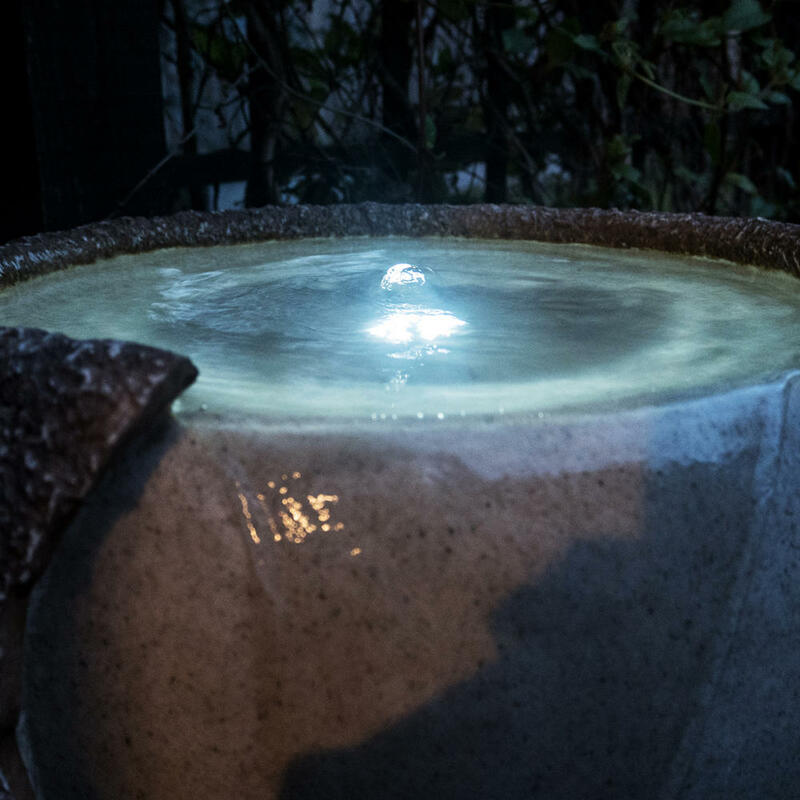 A small LED ring sits in the top of the jar, producing a powerful but striking light effect, perfect to add interest to your garden and home.